This is 5 of 8 part of struts 2 tutorial.In this post,We will learn about interceptors and creating our own interceptor. 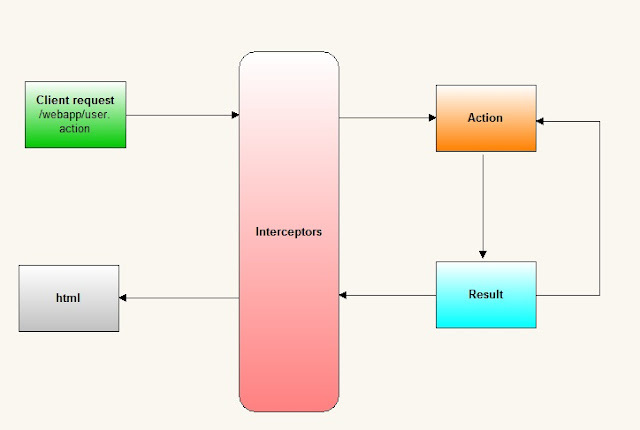 Interceptor is an object which intercepts an action dynamically. It executed before and after the action execution. It Allows the developers to write a code which can execute and after the action. It executed before and after the code. It can prevent an action before executing. Features like double-submit guards, type conversion, object population, validation, file upload, page preparation, and more, are all implemented with the help of Interceptors. Each and every Interceptor is pluggable, so you can decide exactly which features an Action needs to support. As we have seen request workflow in Introduction to struts2 part. Framework creates an object of ActionInvocation that encapsulates the action and all the interceptors configured for that action. Each interceptors are called before the action gets called. Once the action is called and result is generated, each interceptors are again called in reverse order to perform post processing work. Interceptors can alter the workflow of action. It may prevent the execution of action. 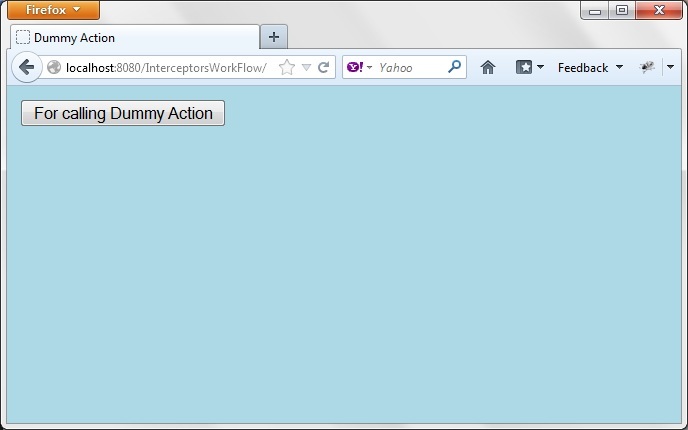 We will create two interceptor class and one action class to show workflow . We will also learn how to declare intercpetor and also to do mapping between interceptor and action in struts.xml. Create project named “InterceptorsWorkflow”.For configuring struts 2 in your eclipse ide please refer configuring struts 2 link. 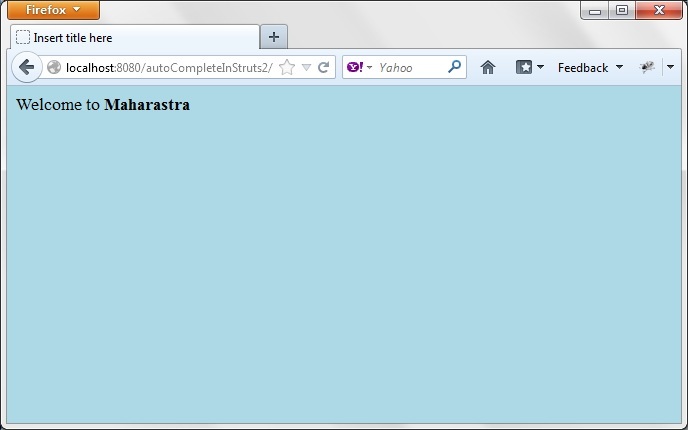 Create class FirstInterceptor.java in src folder. 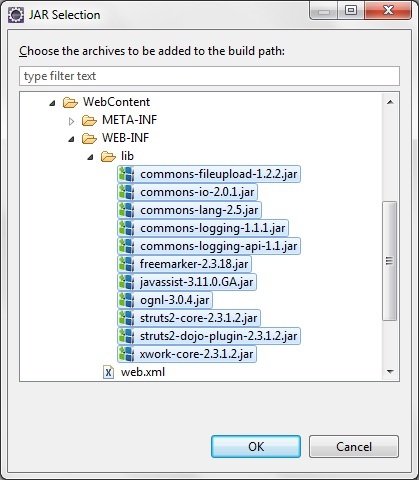 copy following code in FirstInterceptor.java. void destroy( ) – This method is used to clean up resources allocated by the interceptor. void init( ) – This method is called at the time of intercept creation but before the request processing using intercept, and to initialize any resource needed by the Interceptor. String intercept(ActionInvocation invocation ) – This method allows the Interceptor to intercept processing and to do some processing before and/or after the processing ActionInvocation. 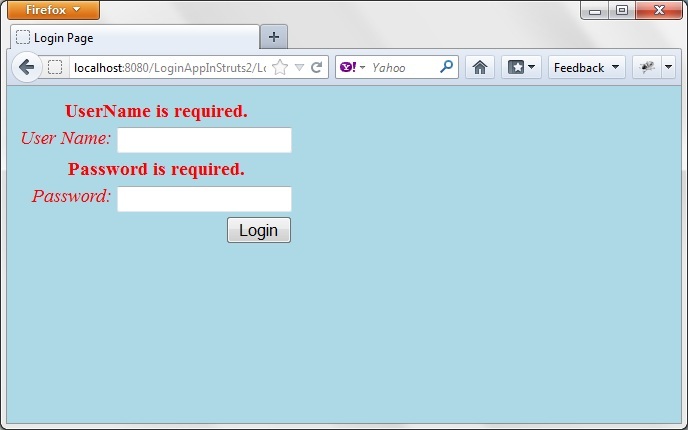 We have seen in previous tutorial that struts.xml defines mapping between request to corresponding action. In tag in struts.xml, we can declare all our interceptors in tag. We will create one action class named DummyAction.java under src.Action class will be same as created in previous tutorials. Create one jsp named “ForCallingAction.jsp” in Webcontent.We are creating this jsp just to call action.We will create a button.On clicking of that button an action “Dummy” will be called. Create another jsp named “Welcome.jsp” As In DummyAction class,execute returns “success” so we will be directed to this page. 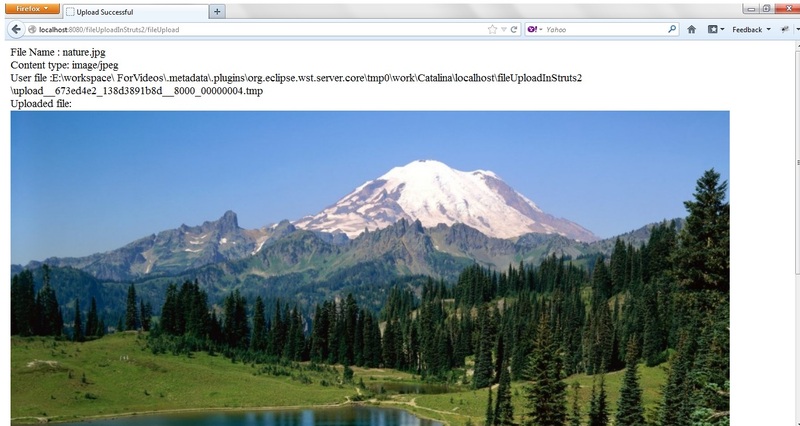 copy resultant url to browser.We will get following page. ActionInvocation object is main part of interceptor.The information of the sequence in which these interceptors are executed for the action is stored in the ActionInvocation object in form of stack. Action method will only called once the interceptor stack has been called fully.This means that once the first interceptors has been called successfully in the stack it will call next interceptor defined in the stack and there reference being stored in the stack this chain will keep on calling till last interceptor in the stack is called. This call is key to call next interceptor defined in the stack or of this is the last it will call the desired function in action class. Now in other case suppose some of the interceptor failed say workflow it will return the result as INPUT and will halt the further execution of the interceptor and framework will output corresponding error JSP/template to user. Then come the post processing in this case interceptors will be called in reverse order i.e. top most or latest executed interceptor will be called first and then so on so. For the first interceptor,the invoke() method is called by the ActionProxy object. FirstInterceptor is called by ActionProxy object and intercept method is called and “start interceptor 1 ” will be printed to console. 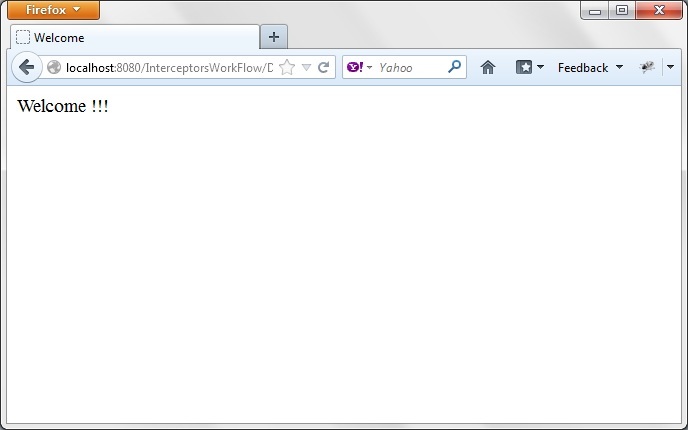 Now it calls next interceptor in the stack i.e. SecondInterceptor and intercept method is called and “start interceptor 2” will be printed to console. As there are no more interceptors in the stack,so DummyAction’s execute method is called and “In Action” will be printed to console. Now as last interceptor i.e. SecondInterceptor will be called first so “end interceptor 2” will be printed to console. Now first interceptor i.e. FirstInterceptor will be called and “end interceptor 1” will be printed to console. But there are 2 minor errors in the part talking about struts.xml. There is no LoginAction properties. couldnt run after all. even download the source. maybe something not setup properly.